This could be only one of these cars I’ve ever seen. The pleasing headlamps and dart-like prow caught my eye. What a handsome car, I thought. No-one else thinks so (and the boot looks odd). It’s the short-lived Honda Legend née Acura RL. Honda weren’t really listening to my well-worn sermons about to succeed in the large car market. First, offer a good range of engines. Honda offered only one, a thirsty V6. Two, give your car a distinctive look. While I like it, most of the commentators didn’t. With my industrial designer’s hat on, I can’t see what they are concerned with here. I’d argue that no other car looks like the Honda and most of the competitors look like each other. There’s a whiff or received wisdom about that criticism of the appearance, in my view. Lastly, offer a really big boot. The Legend had a 452 litres boot which will carry a lot but not as much as I’d expect for such a big car. What went wrong? The stylists argued that a smaller boot was needed for reasons of appearance. The marketing people felt that these cars are seldom expected to carry much anyway. 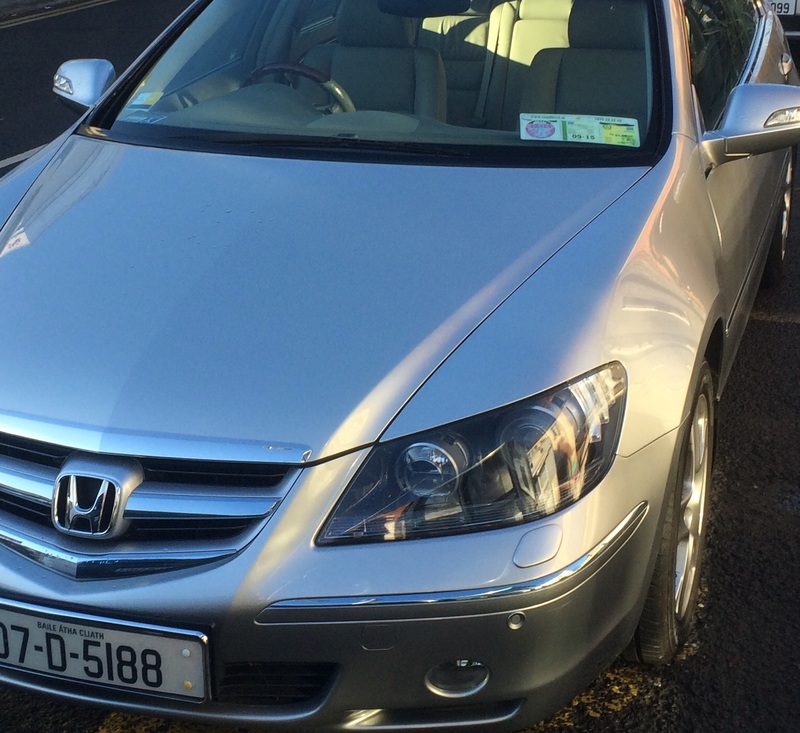 The donor car was an Accord. And so the car was given a boot smaller than the car it seems so obviously to be based on. Another clue is the relatively short wheelbase, leading us to the 604/Senator/C6 lesson. Don’t base your big car on a smaller car. Ever. Honda saved some money on development but lost more by not selling very many copies. And they had to pulp loads of brochures in 2008 when they abandoned the market. Which was a pity as the Legend looked nice (from the front), carried quite a lot of luggage, was technically very advanced and its powerful 3.5 litre VTEC required servicing only every 9,500 miles…did I mention that? Brand new, the Legend cost forty thousand pounds sterling. If you fancy one of these now there’s a 2006 model for £10,000 with 27,000 miles on the clock here. And on the same page, for £695 there’s a 1997 with 97,000 miles. I can’t tell which is the bigger bargain. I’d probably save the £9000 and choose the ’97. From where I am sitting in Denmark it’s enough to make me weep as I face bills for modest maintenance the equivalent of buying a whole replacement car with an MOT attached. I agree. This generation of the Legend had that special something. 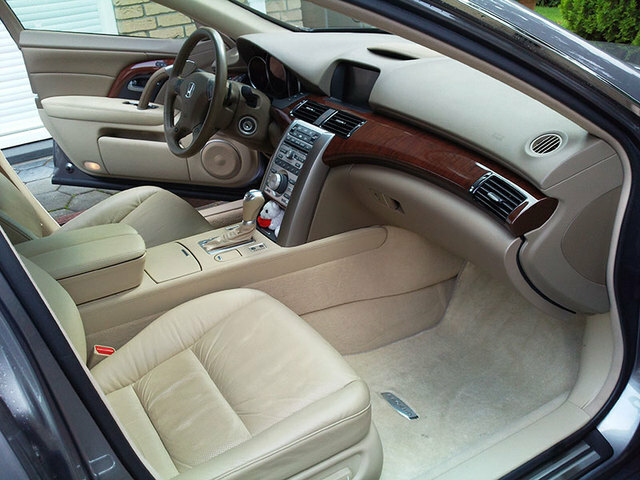 I reviewed a 2007 Acura RL (http://rnrautoblog.com/2013/12/09/2007-acura-rl-review/) if you want to check it out. I did like the SH-AWD system though. moment BMW lost its edge. You could argue Honda hasn’t lost its character (the Civic and some CUVs aside) to quite the same extent as BMW. The ’88 was magnificent, as was most of Honda’s range back in the day. Those cars were a wonderful blend of Honda’s technocratic ethos and Pininfarina’s sense of elegance. The Accord Aerodeck will one day become recognised as a modern classic, I’m convinced. Rather too expensive and insufficiently distinctive to create interest was my impression of the car at the time and the impression remains. Locally it is considered a Bowls Club car, often found with white hats on the rear parcel shelf and rarely driven past sunset. American journals such as Car & Driver gave the 2006 a good review, praising handling, comfort and safety. The main demerit lay in what was not there, a V8. I never see young people in 5 serieses and A6s. Why are they seen as younger people’s cars then? Wierd. I can remember the Legend receiving a borderline volatile review, courtesy of Auto Motor & Sport. Especially the SH-AWD system was lambasted. Regarding the different clienteles, I would summarise that while the German Three’s costumers are old, the Legend’s are even older. It seems to have been a car mostly bought by pensioners, probably using their own money. Car Magazine ran both a long-term Legend and a Citroen C6 at the same time. I don’t know why they did this. The whole tone of their reviews seemed to be ‘why are we doing this?’. I do seem to remember that the Legend was their preference as it wasn’t so soft. Speaking as an old man, I can’t say the Legend excites me. Still, at my age little does – even bowls. I thought it might be on TWBCM’s website, or what remains of it whilst it metamorphosises into a new browsing experience including a “meritocracy of comment” (something the board of DTW assures you will never happen here – all comments are treated with equal disdain). However it isn’t and my back issues of the said magazine now live where the sun doesn’t shine – a corner of my attic. But, from £8,000 on Autotrader, it does look oddly tempting. There was a time when people who were interested in cars bought a BMW or a Mercedes. I remember in the late 80s that they looked distinctively denser and more substantial than almost all cars barring Saabs and Volvos. Now I think a car like this or a Legacy or the C6 is what you’d buy. The difference now is the mainstream buyer doesn’t suspect there’s a nicer car out there whereas in 1987 the Sierra and R18 owner knew the little 3-series or Saab 900 GLS was cut from different cloth. This Legend is special but it’s almost undetectable from its appearance. Hidden under a bushel. This reverts to some of our earlier conversations regarding Honda. Even we enthusiasts need our attention brought to it before we concede that, actually, the Legend is a really good car. Honda are a large and successful company but, bearing that in mind, their marketing nous is relatively naive. Have they thought of approaching Dany Bahar? This brought a smile to my face, thanks. Take the Jazz as a case in point. The new one (been launched in Japan, yet to surface in the UK at least) really is quite unattractive, replacing a car that I like. The one before that was arguably segment defining. Ditto the revent history of the Civic, Accord (how crazy/ sad is the demise of that model, now going (gone?) from the listings in Europe?). That said, I think Toyotas have gone the same way. Actually, bearing in mind the huge investments, car companies seem to be the most irrational bunch. Look at Honda and Subaru. Great engineering in willfully uninspiring shapes. Does Citroen think anyone actually buys a C4 other than that it is in the showroom nearest to where they live? Do BMW think that the agricultural range extender in the otherwise excellent i3 is any different from chucking a Honda Generator in the boot? Ah, Honda again. I’m off.